Conversation w/ Jacquie & Karen Audio Podcast: Kids & Psychology Helping Your Kids Cope With Crazy! 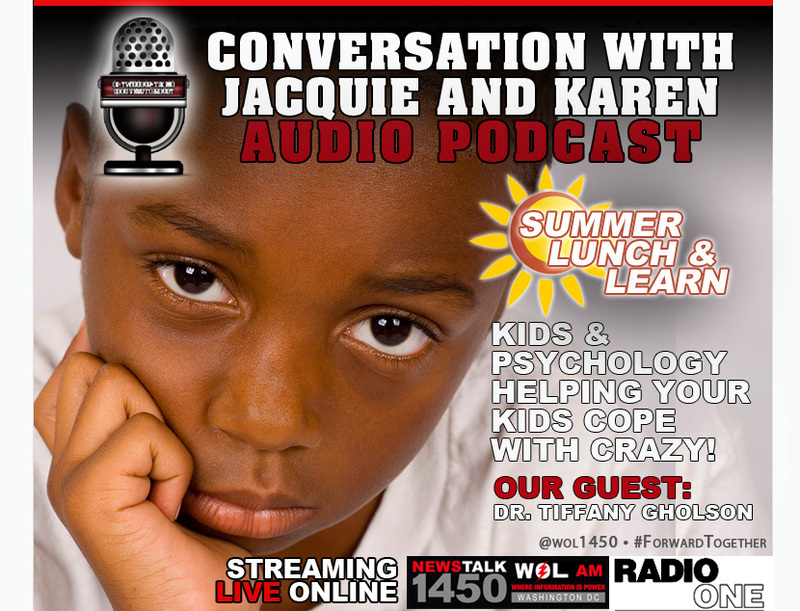 In this edition of the Conversation with Jacquie and Karen Audio Podcast, Dr. Tiffany Gholson talks child psychology and helping your children deal with crazy. Plus, Jacquie recaps the 2015 Essence Music Festival.